As we leap headlong into Christmas and preparations for the New Year, I’d like to recommend a practice that I’ve been following for much of this past year. 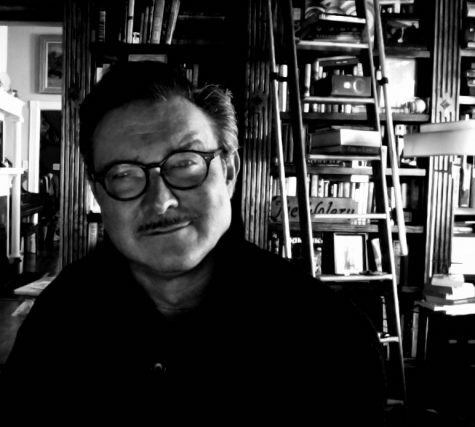 It’s been wonderful for my outlook and I think you’ll embrace the feelings that it generates. For once, I’m not prattling on about clothing, or manners, or even food. On the contrary, this is pure Personal Maintenance Time. I’ve been studying a lot of Stoicism lately and have, as a consequence, been journaling a lot more consistently. One of the more frequent entries in my daily journal (aside from weather and any important global news) is a reflection on those things for which I’m grateful. Some days there may be a few as one or two items; others, a dozen. But it always gives me a moment’s pause and puts a smile on my face. It also helps to curb my acquisitiveness. 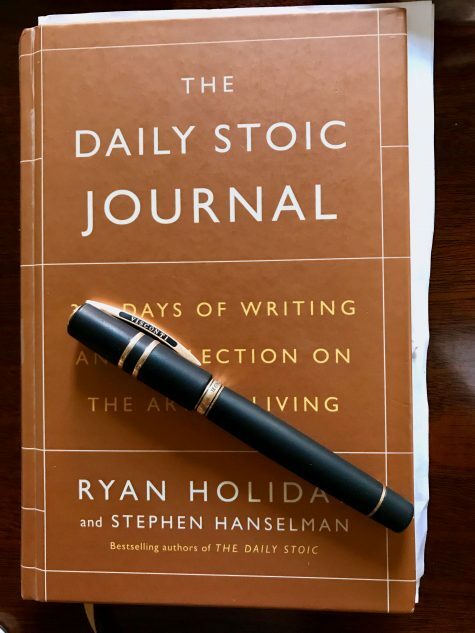 “The Daily Stoic Journal” and a Visconti Bronze Age fountain pen. 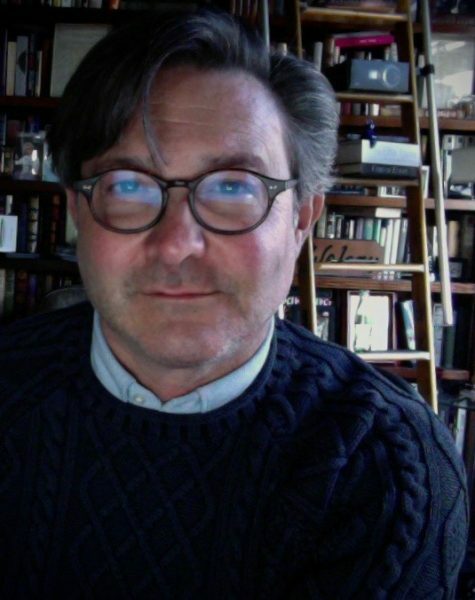 Having thrown out that bold remark, I will also say that my journaling is done with pen and paper. Which does involve a bit of kit. In my case fountain pens and fountain pen friendly notebooks. 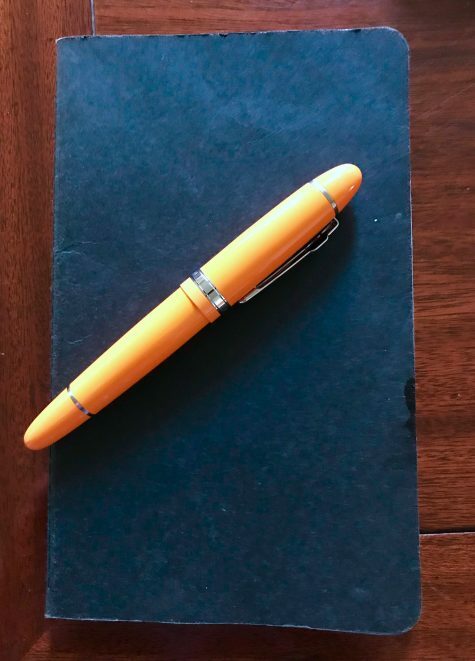 I have my favorites, but even among the 14K gold nibs, specially ground nibs, exclusive designs and materials, there are fun, functional, and inexpensive pens for everyday use. A Moleskine A5 size journal and a Jinhao 159 fountain pen whose size mimics a Montblanc Meisterstück. Might I suggest buying yourself or someone very special a gift of creative freedom? 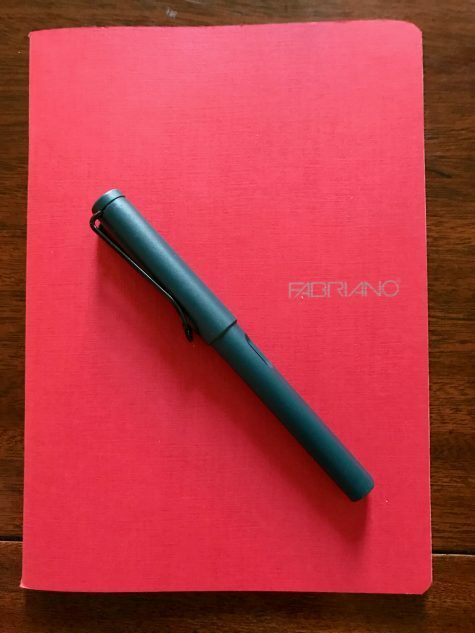 The notebook and pen that you pick may spawn a life-long pleasure and a really nice habit. AC Moore Fabriano notebook and Lamy Safari in Petrol Blue. During my morning journaling tomorrow, I will notice that ’twas the night before that I felt truly grateful for all of you who take a moment to read Easy and Elegant Life and reflect a bit on what the good life is all about. 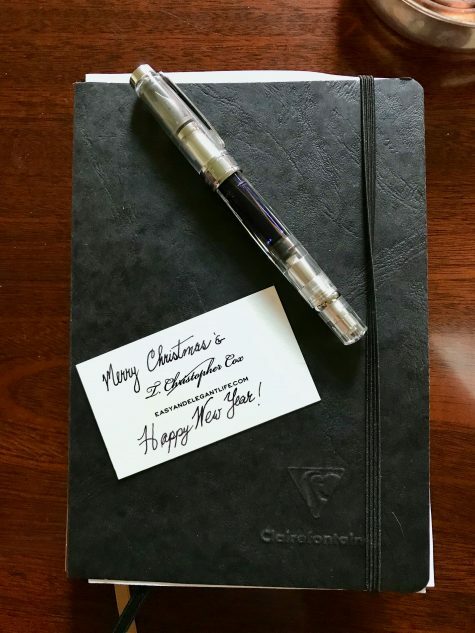 Clairfontaine’s amazing paper perfect bound into an A5 dot grid notebook and the TWSBI Diamond 580 demonstrator pen.